The history of the orangery goes way back hundreds of years, when well-to-do Europeans were in need of a warm place to grow fruit and plants in the winter. But just because their design is old doesn’t mean they’re passé – on the contrary. 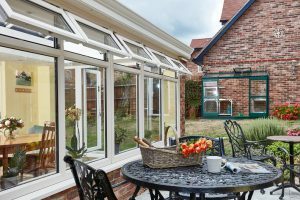 Much like vinyl records, orangeries have made a comeback into our homes. Or did they ever really leave? And how did they manage to stay so fashionable? 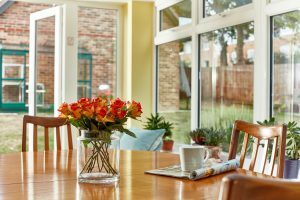 The answer is simple: they’ve gone modern, effortlessly slotting in alongside our homes as if they’ve always been meant to be there. 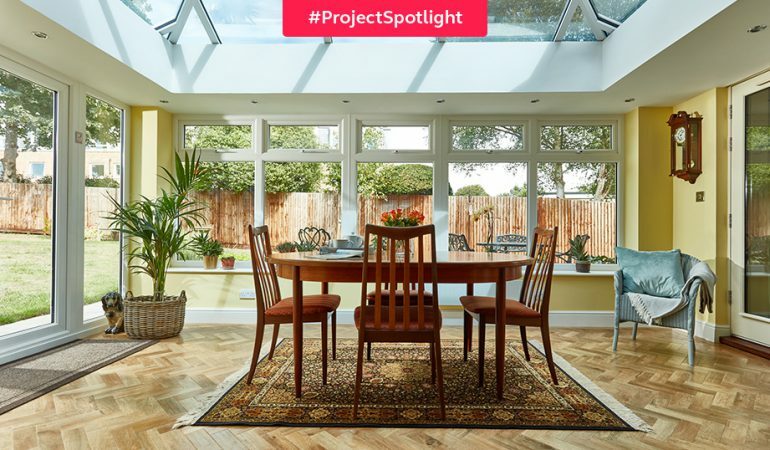 When in need of extra living space, the Hall family opted for an orangery. And a modern orangery it is, clad in dual-coloured cream uPVC and Solaroof panels up top. Together they make for a light-filled space that’s the perfect dining room backdrop. This structure originated hundreds of years ago? You’d never know. A: My new house needed more space. A: Yes. I chose Anglian because of their speed of response. A: They were prompt and helpful. 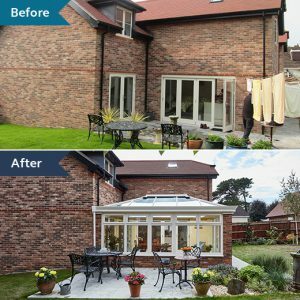 A: The best thing about my new orangery is the extra living space. Want more of our most modern spaces? Sign up for our monthly newsletter and make sure you never miss a post!